For managers or administrators there is an option to view all logged hours/tasks, or only the ones you have logged yourself. 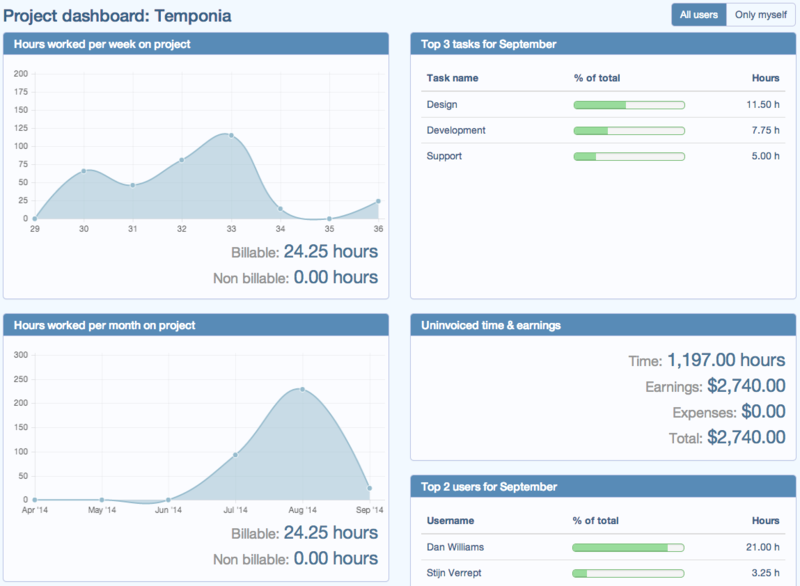 You can also go to the dashboard of a project by clicking on the new dashboard icon. We hope you enjoy this new feature and would love your feedback.